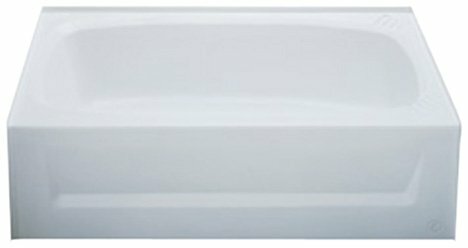 ABS Bath Tub - White - One piece with apron. Thermoformed from high impact ABS plastic to assure durability and uniform color throughout. Non-skid surface 27 inch x 54 inch. Overall height 16-5/8 inch. If you have any questions about this product by Kinro Composites, contact us by completing and submitting the form below. If you are looking for a specif part number, please include it with your message.